You would seldom see showbiz or local entertainment news in this blog; but #Jadine is an exception! Here's the surprise for all the friends and supporters of today's hottest love team - get a chance to see James Reid and Nadine Lustre and join them at the first-ever Avon Feelin Fresh National Kili-kilig Day! 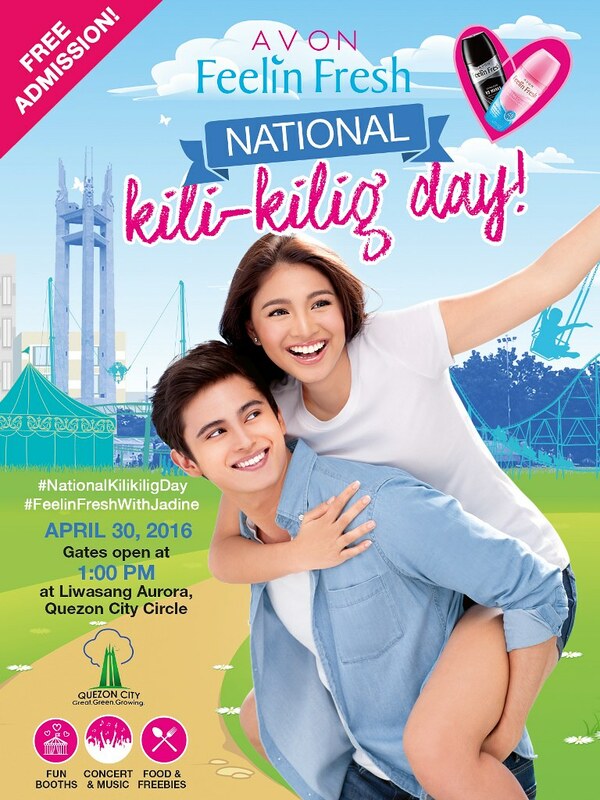 The country’s hottest love team and Avon Feelin Fresh deodorant ambassadors James Reid and Nadine Lustre invite you to join them at the first-ever Avon Feelin Fresh National Kili-kilig Day on Saturday, April 30 at the Liwasang Aurora of the Quezon Memorial Circle. Gates open at 1:00PM and admission is free! 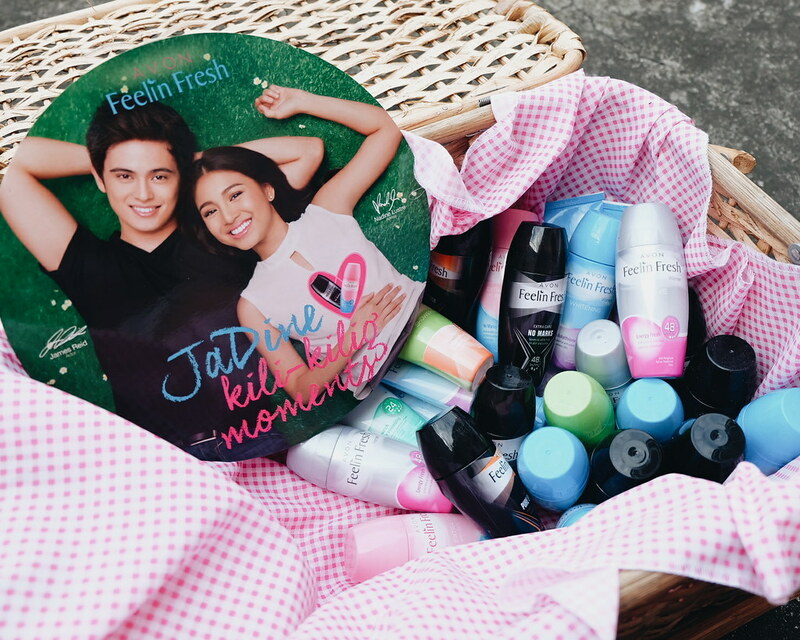 This fun-filled fair is inspired by JaDine’s definition of a perfect summer day: “Good vibes, great company, and a whole lot of nakakakili-kilig moments!” Come see why Avon Feelin Fresh deodorants are JaDine’s number one must-have this summer by joining the games and activity booths, and collect at least three completion stamps to get access to the Concert Area, where JaDine’s live performance and other special performances will happen! While you’re there, want to show off your sizzling summer dance moves? Join the No Sweat, You Bet Dance Contest and get the chance to win exciting prizes! For registration and more information, contact VFactor Events and Brand Communications at 0927-2273972 or 0998-9701775. Gather your friends and family for some #kilikilig fun under the sun, and keep #FeelinFreshwithJaDine.